If you love that BIG BAND sound! Come and join us for an evening of music featuring your favourite tunes from the 30’s and 40’s. 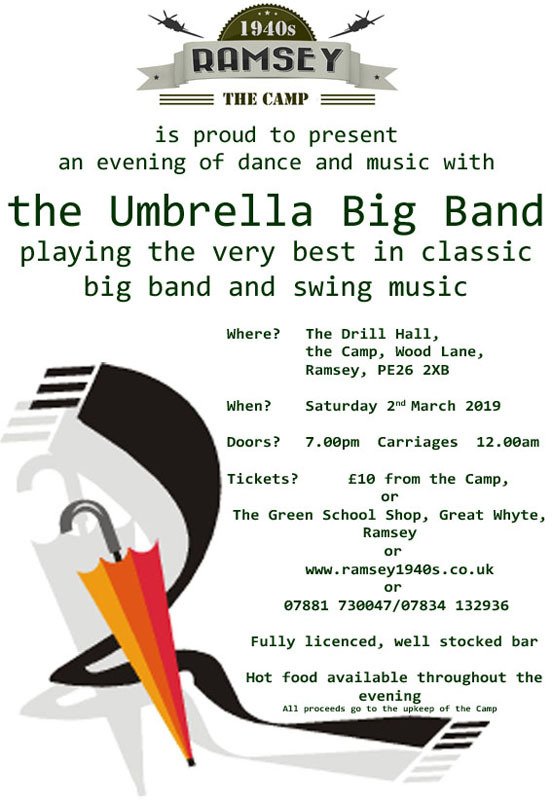 The Umbrella Big Band will also be putting their unique mark on hits from the 50’s right up to some present day surprises. Dust of your dancing shoes, call up your friends and join us for a fantastic evening of live music and dance. Fully stocked and licenced bar selling a wide range of real ales in addition to all the regular beers and spirits. Hot food available throughout the evening. Ample free parking. Disabled access.